This is our Sweet Orange Steam Distilled Essential Oil. Herbal Folk Traditional uses for Sweet Orange include in Chinese Medicine for anorexia, colds, coughs and malignant breast sores. In Chinese Medicine all citrus fruits are considered to be cooling. Sweet varieties increase bronchial secretions while the sour varieties act as expectorants. They all quench thirst, are stomachic and combat flatulence (carminative). Sweet Orange encourages a positive outlook and is uplifting to the spirit! It has a delicately sweet and tangy scent with the aroma of fresh cut oranges. Sweet Orange blends well with Angelica, Bergamot, Black Pepper, Caraway, Cardamom, Chamomile, Cinnamon, Clary Sage, Clove, Coriander, Cypress, Fennel, Frankincense, Geranium, Ginger, Grapefruit, Jasmine, Juniper, Lavender, Lemon, Lime, Litsea Cubeba, Mandarin, Mimosa, Myrrh, Myrtle, Neroli, Nutmeg, Oakmoss, Patchouli, Petitgrain, Pine, Rose Otto, Rosemary, Sage, Sandalwood, Spearmint, Spikenard, Sweet Marjoram, Tagetes, Vanilla, Vetiver, Violet Leaf and Ylang Ylang. Sweet Orange Essential Oil is used in aromatherapy and natural perfumery. 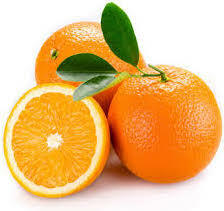 Sweet Orange Essential Oil has the following actions: antidepressant, anti-inflammatory, antiseptic, bactericidal, carminative, choleretic, digestive, fungicidal, hypotensive, nervous sedative, stimulant to digestion and lymphatic system, stomachic and tonic. Distilled sweet orange oil is photo-toxic so it is recommended to avoid using on the skin if there is potential for exposure to direct sunlight. However there is no evidence that cold pressed sweet orange oil is photo-toxic. Generally non-toxic although ingestion of large quantities of orange peels has been known to be fatal to children.